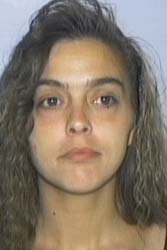 Sharon Kay Hammack was reported missing in Grand Rapids, Kent County, MI, on Thursday, October 3, 1996. Her body was found later that day in a ditch in Caledonia. She was strangled. Grand Rapids had a series of homicides between 1994 and 1996; with the exception of one, all of the victims had ties to prostitution. Sharon was the eleventh victim. Posted on Friday, January 9th, 2009 at 9:11 pm. Last updated on Wednesday, March 9th, 2011 at 5:19 pm.